With more and more people use our tube & pipe laser cutting machine. We strongly recommend that you read the following procedures before operating the laser when you use the laser series . (2) Remove the back outer protective sleeve and leave the white inner cap on and clean the fiber connector exterior with optical cleaner , wipe it with a clean optical wipe and dry it with compressed air. 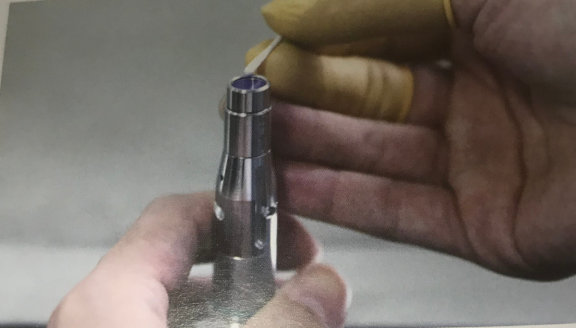 (3) Place fiber connector in the holder of the microscope, remove the white inner cap from the connector. (4) Focus the microscope onto the connector surface so that the protective lens can be seen clearly from the microscope. 1. Put a few drops of alcohol onto the lint free swabs and throw away the excessive alcohol. 2. Place the swabs on the dust via microscope. 3. Cleaning the dust carefully, and move ti the edge of lens. 4. Repeat these cleaning steps until all contamination is removed. Take a final check under the microscope. (6) Reinstall the inner cap and the outer sleeve onto the cleaned fiber connector. Please make sure of the daily inspection and cleaning for the high efficiency pay attention to every possibility of causing an accident.We hope you will have an excellent user experience in LX Tube & Pipe Laser Cutting Machine . This article is from :www.lxcuttingmachine. Previous First training class of tube & pipe laser cutting machine by LONGXIN LASER TECHNOLOGY CO., LTD.